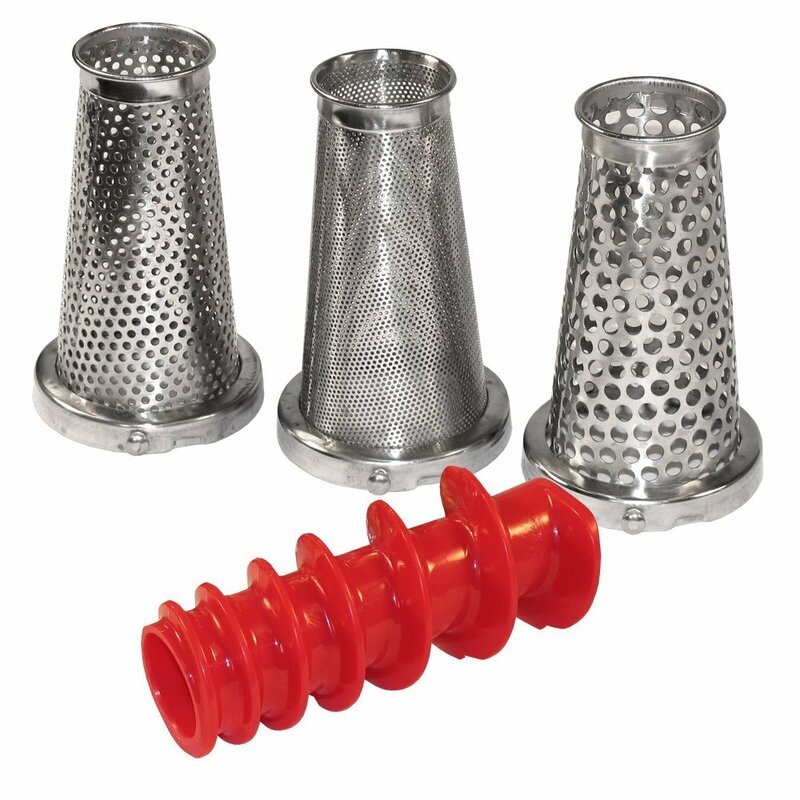 This 4-Piece Accessory Kit makes the Roma Food Strainer & Sauce Maker the most versatile tool in any kitchen. Make your own salsa, strain the seeds from strawberries to make your own jellies, or create puree for pumpkin pie from scratch. All three accessory screens are made of the same high grade stainless steel as the standard Roma screen. The Grape Spiral allows the Roma to strain grapes while separating the seeds and skins for homemade juices, great for the home wine maker. Buy them as a kit and save or buy them individually depending on your needs! 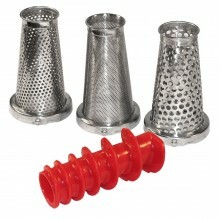 This 4-piece accessory kit makes the Roma Food Strainer and Sauce Maker the most versatile tool in any kitchen! Kit includes: Berry Screen (3/64" holes) Pumpkin/Squash Screen (1/8" holes) Salsa Screen (1/4" holes) Grape Spiral (5-1/2" long) Make your own salsa; strain the seeds from strawberries to make your own jellies; create puree for pumpkin pie from scratch with little effort! The Grape Spiral allows the Roma to strain grapes while separating the seeds and skins for home-made juices--great for the home wine maker! This accessory kit WILL fit the VILLAWARE #200 tomato and food strainer. It WILL NOT fit the 200 deluxe strainer. Click the button below to add the Roma Tomato Strainer Accessories kit set grape pumpkin berry salsa to your wish list.